Vaarso Battlespeak Notation: In the Tohaa Trident, those corps fulfilling special functions get numeric denominators in the thousands. In the case of the Kumotail, unit 2450, the thousand is completed with two numbers whose symbolism refers to the troop’s special abilities. First is the number 400 which, according to Neebab Numerology, refers to the achievement ofthe perfect structural order. 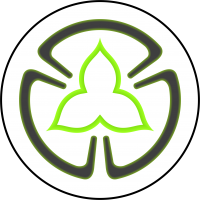 The second is the number 50, symbolizing healing or reparation of objects and people. Profile: Kumotail Bioengineers are the intellectual aristocracy inside the Tohaa Trident; hyper-qualified technical field operatives, magicians able to repair anything or anyone. 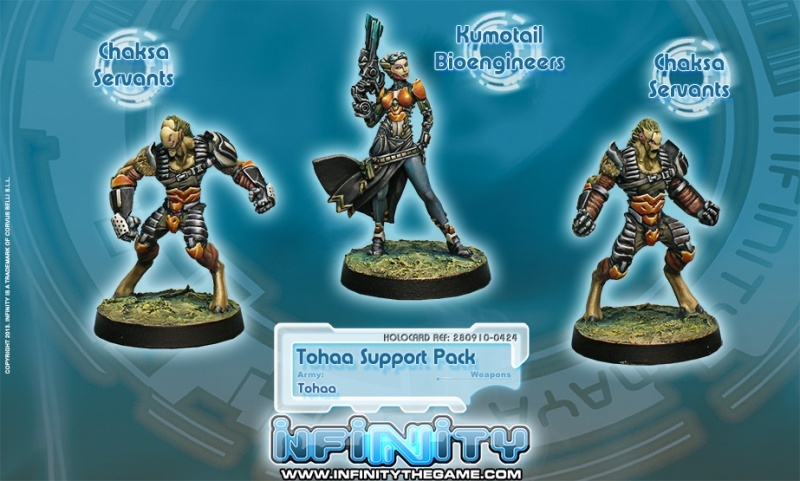 Tohaa have united technology and biomedicine in a way so inextricably linked that only a Kumotail is able to face the challenge of a technical-medical intervention in combat. Kumotail Bioengineers are devoted mecha-genetists. They contemplate the study of bioengineering as the highest vocation possible, the only possible path to spirituality, as its purpose is creation and the improvement of Nature. This concentration, obsessive focus of capabilities, forces them to excel, to always make the maximum effort. There is no trivial issue, no irrelevant malfunction, no patient past recovery and this is something every soldier appreciates. Because where Kumotail have acquired their prestige is in the crucible of combat, working side by side with their fellows in the Tohaa Trident. Kumotail Bioengineers are not laboratory rats but combat operatives with true military experience. Their work is developed as much on the frontline as it is in the rearguard. Wherever they are needed, there they go, as they are soldiers at the same time as technicians. For them, the real challenge is to perform their work amidst action, as members of a tactical Triad, under enemy fire, in the worst possible conditions by which they can prove their mastery of the Tohaa fundamental sciences.